Located off shore from the north western tip of the Bird’s Head Peninsula, at the heart of the “coral triangle’ lies the pristine Raja Ampat National Park. 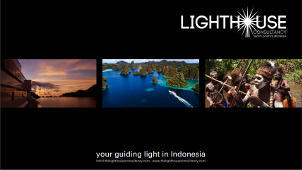 Spanning a vast 50,000 square kilometres, the region is described by many as Indonesia’s final frontier. What is sure, Raja Ampat casts a spell on all who visit. 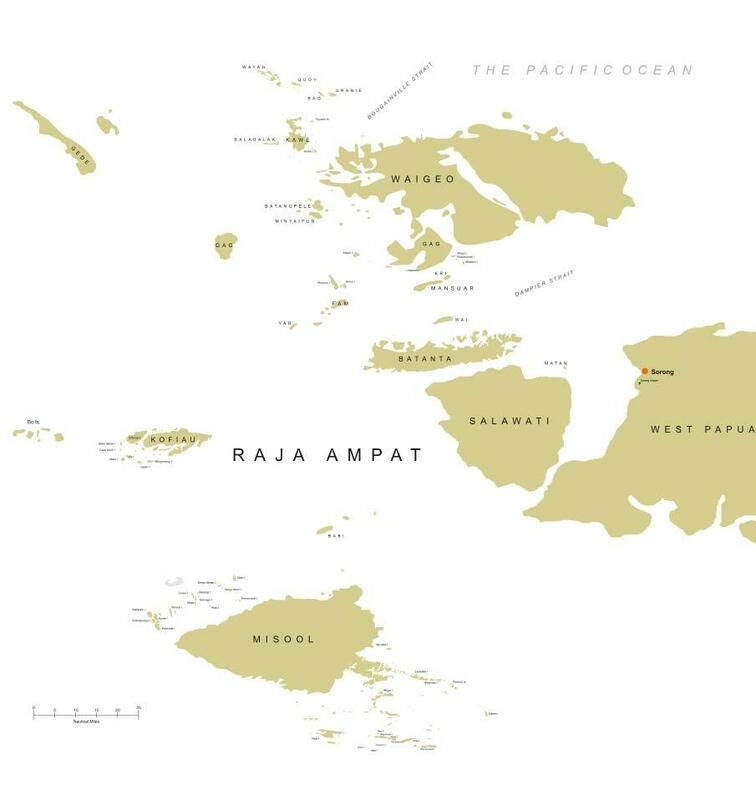 The name Raja Ampat refers to “Four Kings” who were empowered to rule over the four main islands that make up the region: Waigeo, Batanta, Salawa and Misool. In addition to these larger landmasses, many other smaller islands, and literally thousands of karst limestone islets, make up the total 1,500 islands in the region. Exploration of the area can focus on the northern or southern regions independently, or can combine to create a longer cruise, to experience a selection of all that Raja Ampat has to offer. Anchorages in the cruise area are seldom further than 100 nautical miles from Sorong. The embarkation port for Raja Ampat cruise timeframes is Sorong, a busy, developing, large town on West Papua’s north-west coastline. The large runway can accommodate private jets, but Sorong is not an international airport, so there are special visa requirements that should be discussed and considered before arrival. 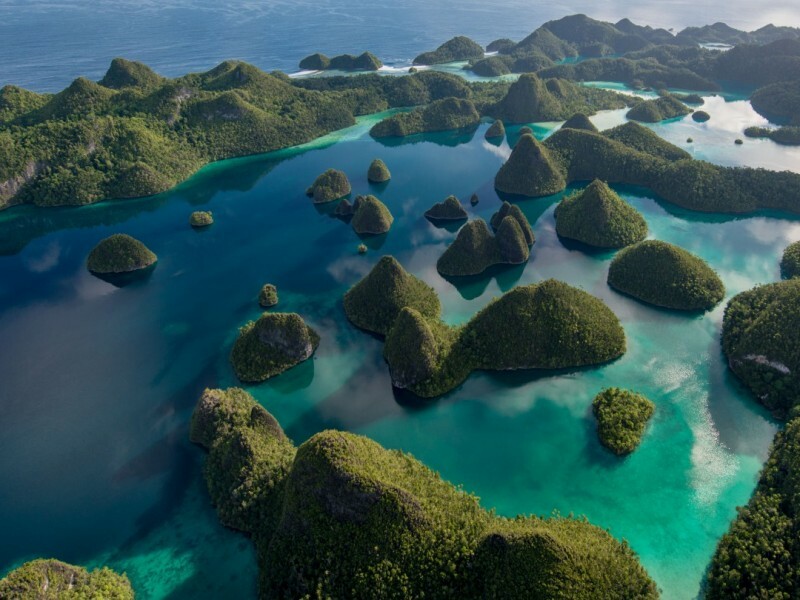 Local government and conservation organisations are working together to protect the future of Raja Ampat’s natural treasures by making the National Park a protected zone. Some islands to the south have taken a further step by implementing huge no-take zones, where fishing of any kind is prohibited. In order that tourism contributes to the protection and the governance of the region, a Raja Ampat Tourism Tag, arranged in advance of any visit to the area, is required for each individual visitor and a contribution is required for each vessel cruising in the area. Raja Ampat is world renowned for its spectacular above water scenery and sparsely inhabited tropical islands. Pristine rain forest decorates the tops of the dramatic limestone cliffs and there are hundreds of deserted bays and many other hidden treasures to discover around the myriad of islands. It’s a kayaker’s wonderland, featuring an intricate coastline with caves, bays, gorges, hidden rivers – all of them teeming with exotic tropical flora and fauna. Exciting topside adventures start on the countless, isolated white sandy beaches and opportunities exist for thrilling speedboat rides around the karst formation islets to explore cathedral-like caves. There is even the chance to visit a working pearl farm and purchase some of their valuable produce direct from the source. For the lucky few, rainforest hikes past exotic orchids growing from jagged crevices, can climax with the unique experience of witnessing the male Birds of Paradise performing their elaborate early morning courtship dances to attract a mate. The lagoon anchorage at the island of Wayag is a visually stunning location to explore for a few days. 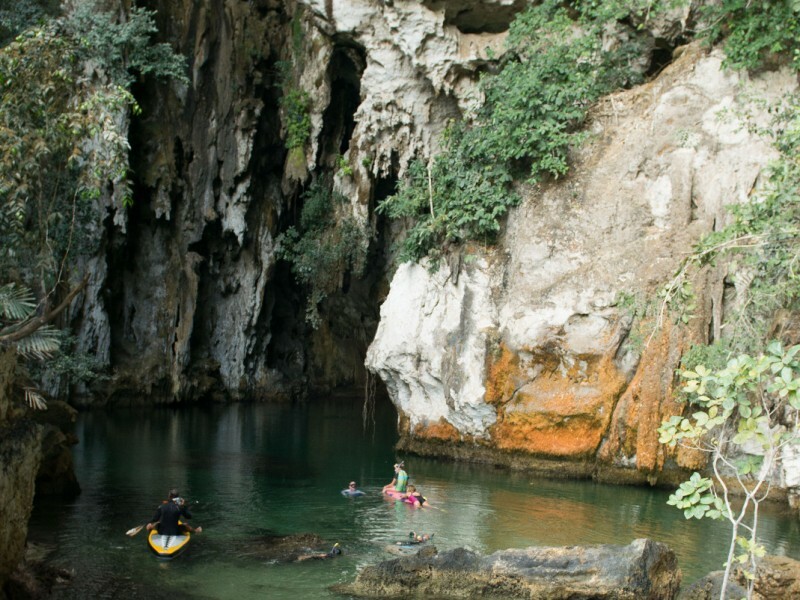 Encompassed by vibrant vegetation and tranquil waters, the karst formations can be explored during lazy afternoon tender rides, there is something exciting and inspiring about exploring isolated bays where few people have ever been. Caving explorations provide an exciting glimpse into a fascinating hidden subterranean world, and it is still possible to search for historical wartime artefacts and interesting remnants from human history that lie hidden from the world. Raja Ampat’s marine environments are spectacular, with something for the whole spectrum of marine enthusiasts, from expert underwater photographer through to beginner snorkeler. The National Park boasts an astounding variety of marine habitats and inhabitants; this translates to wildly different diving experiences, from pelagic drift dives, to coral encrusted wooden jetties and magical critter dives. There are even sites that are unique to Raja Ampat, such as crystal clear salt water mangrove forests with brilliant coral gardens growing right next to and sometimes even among the mangrove roots. There are hundreds of known dive sites, while the potential for the exploration of many more in this unique area is considerable. The shallow reefs of the north are a riot of colour, with unusual purple and orange softcorals prominent. These reefs cover every nook and cranny with incredible variety, and the interesting underwater topographical formations and subaquatic caverns are home to large schools of fish, and some of the rarest marine life in the oceans. 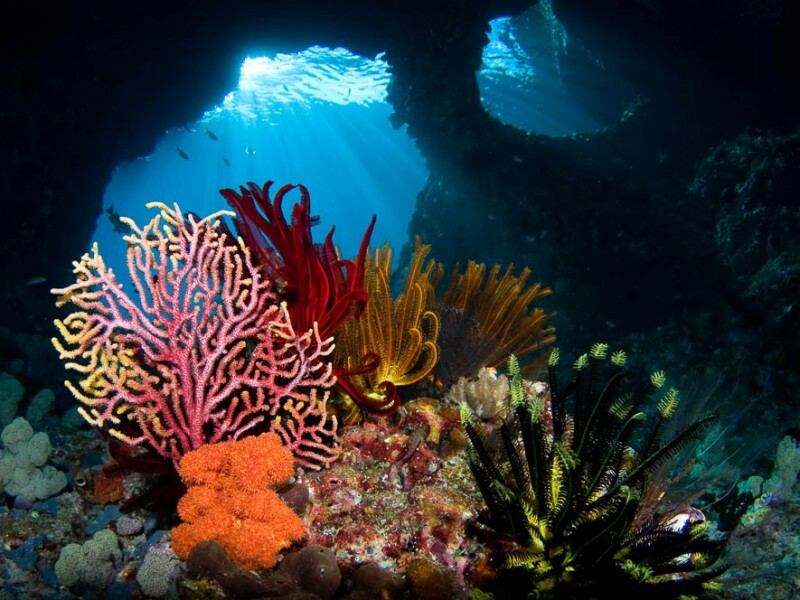 In the south, especially in the Misool area and Daram region, plunging walls covered with dense multi-coloured so corals rise up from the ocean floor. 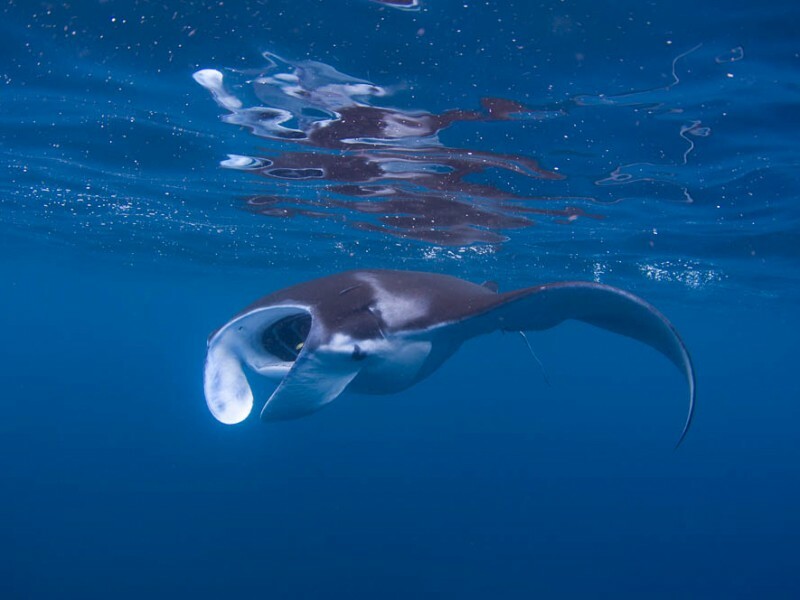 Huge pelagic concentrations inhabit the sea mounts and remote islands and big animals are regularly spotted, with manta ray displays a common occurrence at a number of sites. All of these environments combine to form habitat for marine life in more shapes and sizes than any ocean in the world, from minute reef critters, found by the eyes of only the most experienced guides, to top predators and everything in between. Wave upon wave of fusiliers, damselfish, and chromis pulsate along the reef slopes while sharks, grouper, trevally, and rays patrol the blue. Nestled within many of the sea fans one can find four different species of the much sought after pygmy seahorse. 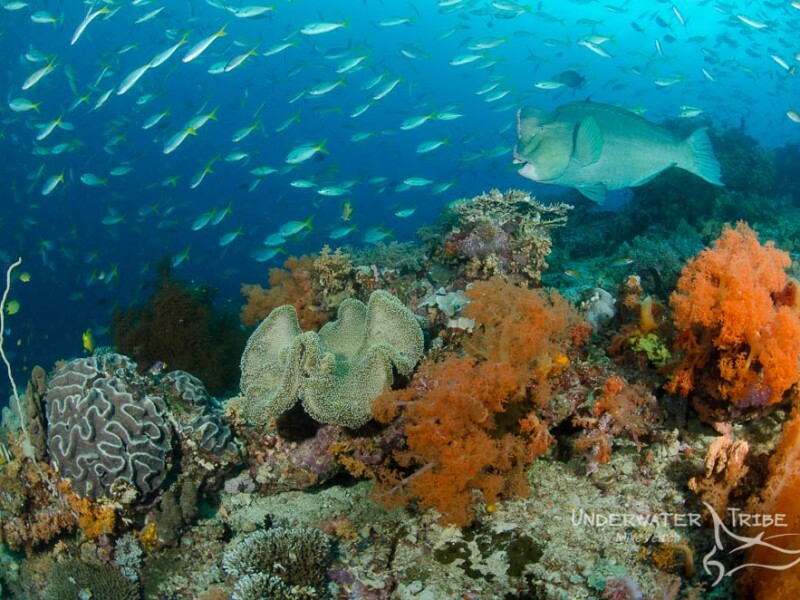 As a marine adventure destination, Raja Ampat hosts a variety of marine life that is unparalleled in the world. “With the Lighthouse Consultancy’s help I am confident that I can get what I need and what my owner wants. They provide peace of mind and give me an incentive to return, time and again.